Do you want to fly to Kosovo? That is possible! Thousands of passengers take flights to Pristina every day. Pristina is the capital of the Republic of Kosovo. Germany: Berlin, Dusseldorf, Frankfurt, Hamburg, Hanover, Munich, Stuttgart. Turkey: Istanbul (two different airports). Kosovo has a brand new airport, which was opened in 2013. 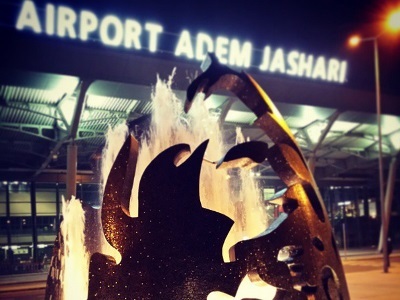 The official name is Prishtina International Airport Adem Jashari. Jashari is a hero in Kosovo, who was killed in 1998 together with 58 of his family members. 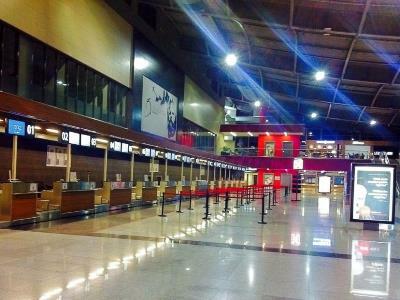 The terminal of the Pristina airport is very compact and modern. After checking in, you can reach your airplane in five or ten minutes. When you enter Pristina by plane and go through the customs, you see car rental shops, ATMs and coffee bars immediately. You can reach the parking lot, which is in front of the terminal, within a minute. According to the Civil Aviation Authority, there is every year an increase of passengers at the airport. In 2008, the number of travelers was 1,1 million, two years later 1,3 million, and again two years later 1,5 million. In 2014, the number of passengers was a bit lower than the years before, but 2015 recovered this with a 10 percent grow. The most popular months to fly are August and July. Relatively quiet months are February, followed my March, November, December and January. The top destinations were in 2015 Zurich, Basel-Mulhouse, Istanbul, Dusseldorf, Munich, and Geneva. Kosovo also has a small airport in the Gjakova region, which was ruled by the Italian NATO and handed over to the municipality. Currently, no international flights fly to this airport. Do you want to read our practical tips about travelling to Kosovo? Well done! This is a great website for all those who want to visit or do business in Kosovo. This is a professional website congrats and thank you Mr.Stefan ! Thank you very much, Fitim! Ik woon in Nederland en ik wil bedanken van het hart De heer Stefan van Dijk voor de opening van deze webpagina die heeft een groot belang voor ontwikkelen van mijn vaderland . Dank, we doen ons best! Stefan van Dijk , this is amazing! You write that Adem Jashari is a hero. How do you think Serbia’s minorities would react if the main airport in Belgrade was named after Arkan or Ratko Mladić? Of course this would never have been possible. The name is Belgrade Nikola Tesla Airport. Kosovo will never be open and democratic as long as they kling on to the myth of UCK as a legitimate liberation army, not as the terrorists they were. Thank you, MR Kahrs for your comment. The text says that Jashari is a hero in Kosovo. We are not the one to judge if an airport should have his name or not. We just share info. Please my name is Baba Adamu from Ghana and Ghana passport is visa on arrival please is its true or not. We do not issue visa, we only write about Kosovo. We are not related to any political institution. I want to visit this country. what the process to get visa. If you wrote an article about life we’d all reach enenthteimlng. Hi I am Mohammed Rismy from Srilanka. I would like to make a short visit to Kosovo by August 2017. I want all the details about how to travel ,flights and cost of tour for 10 days. Please visit the new website http://www.Rezervimi.com! I will visit next month for a week long Kosovo.How can I get City center.Is there any bus or city shuttle bus. We will send you an e-mail about this.